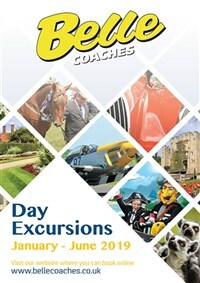 Belle Coaches will take you all over the UK and beyond to discover and experience so many beautiful places. 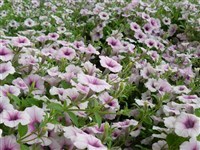 Be amazed with our 4 day mystery tours. 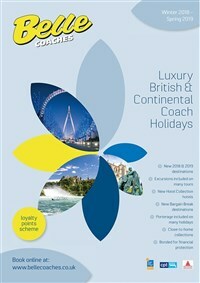 We will take you to a mystery destination within the UK for you to enjoy. 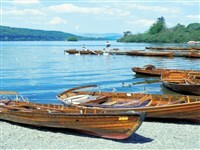 Your base for this lovely tour is Grange-over-Sands, located at the southern point of the Lake District. Isle of Wight with historic sites and natural delights, once visited you will want to return again and again! Guernsey offers a heady mix of stunning scenery and the best of contemporary living. Inspiring walks along the cliff paths, rambles through the rural interior or lazy days on the island’s beautiful beaches, Guernsey has it all. This fantastic new tour to the South Coast offers beautiful gardens, a splendid train journey and a High Tea with breath taking views! Looking for a value break but not sure where to go? Let us make the decision for you. Our great value-for-money Mystery tours have something to suit everyone. Eastbourne with its mild climate and level promenade has much to offer the visitor. Often referred to as "The Queen of the Yorkshire Coast", Scarborough has many attractions. 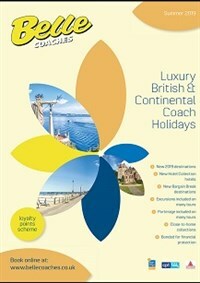 Hop on board this super bargain break to the seaside resort of Lytham St Annes. Join us on a journey of nostalgia in the north of England. Located in the heart of the Scottish Highlands, Grantown-on-Spey is the perfect base from which to explore this beautiful part of Scotland, Strathspey Railway & Cairmgorm Mountain Railway. Join us on this interesting tour to Lancashire, your base for which is the seaside town of Morecambe. Bournemouth is a stylish resort and offers a host of attractions for the discerning visitor. Set in 30 acres of Grade I listed Victorian gardens within the 1000 acre Thoresby Estate, this beautiful 19th century hotel was designed by Anthony Salvin. Considered by many to be the world's greatest air show, the Royal International Air Tattoo at RAF Fairford is an event filled with intensity, drama and thrills! This new tour incorporates some of Richmond's finest attractions including the world's first and greatest botanical gardens and a wonderful example of Georgian Gothic revival architecture. 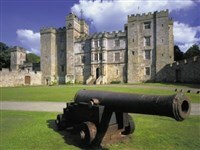 This new tour to Cheshire incorporates some of the area's most historic and informative attractions. The beautiful compact town of Rocamadour is your base for this fantastic tour to France. Weston Super Mare is packed with Victorian history and boasts a fabulous beach. Awaken your senses as Chartres, the capital of light and perfume, comes to life with an explosion of colour and light. The lovely Victorian Spa Town of Harrogate is your base for this tour to North Yorkshire. This new tour is based in the historic city of Worcester. Eastbourne with its mild climate and level promenade has so much to offer the visitor. The spectacular City of Liverpool Tattoo will be returning for its second year in 2019. The Band of Her Majesty's Royal Marines & The Band of The King's Division are just a few of those already confirmed for 2019. Jersey is the largest of the Channel Islands. With a mix of British and French cultures, the island enjoys a mild climate, a rich heritage and wonderful coastlines. Known as the "Diamond of the South", the Isle of Wight enchants visitors year after year. This super new tour to Ireland is based on the Haven Coast, the southernmost leg of the legendary Wild Atlantic Way! We are pleased to once again offer this super Bargain Break based in Tenby in Pembrokeshire. The historic walled city of York was founded by the Romans 2,000 years ago and its medieval charm is still very much alive today. The Prix de l'Arc de Triomphe takes place every year in October. This prestigious event is one of the most important equestrian events in France. Join us on this lovely tour to Warners Cricket St Thomas where you will be based in the glorious Somerset countryside. Experience two of the South Coast's best Christmas markets on this super new tour.